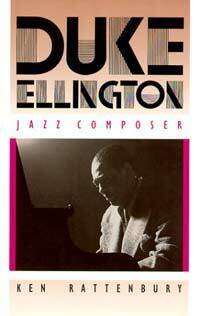 Duke Ellington CDs available from Document Records. Duke Ellington The Early Years. Click here to go straight to the CD. 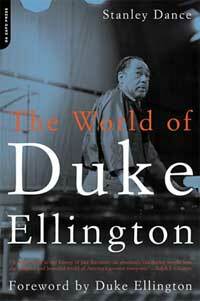 Duke Ellington brought a level of style and sophistication to Jazz that it hadn`t seen before. Although Duke Ellington was a gifted piano player, his orchestra was his principal instrument. Like Jelly Roll Morton before him, he considered himself to be a composer and arranger, rather than just a musician. Duke began playing music professionally in Washington, D.C. in 1917. His piano technique was influenced by stride piano players like James P. Johnson and Willie "The Lion" Smith. He first visited New York in 1922 playing with Wilbur Sweatman, but the trip was unsuccessful. He returned to New York again in 1923, but this time with a group of friends from Washington D.C. They worked for a while with banjoist Elmer Snowden until there was a disagreement over missing money. Ellington then became the leader. This group was called The Washingtonians. This band worked at The Hollywood Club in Manhattan (which was later dubbed the Kentucky Club). During this time Sidney Bechet played briefly with the band (unfortunately he never recorded with them), but more significantly the trumpet player Bubber Miley joined the band, bringing with him his unique plunger mute style of playing. This sound came to be called the "Jungle Sound", and it was largely responsible for Ellington`s early success. The song "East St. Louis Toodle-Oo" is a good example of this style of playing. The group recorded their first record in 1924 ("Choo Choo (Gotta Hurry Home)" and "Rainy Nights (Rainy Days)", but the band didn`t hit the big time until after Irving Mills became their manager and publisher in 1926. In 1927 the band re-recorded versions of "East St.Louis Toodle-Oo, " debuted "Black and Tan Fantasy" and "Creole Love Call", songs that would be associated with him the for rest of his career, but what really put Ellington`s Orchestra over the top was becoming the house band at the Cotton Club after King Oliver unwisely turned down the job. 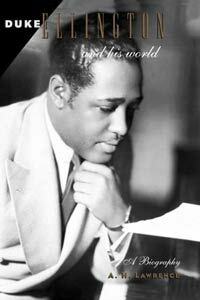 Radio broadcasts from the club made Ellington famous across America and also gave him the financial security to assemble a top notch band that he could write music specifically for. Musicians tended to stay with the band for long periods of time. 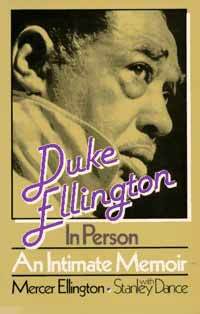 For example, saxophone player Harry Carney would remain with Duke nonstop from 1927 to Ellington`s death in 1974. In 1928 clarinetist Barney Bigard left King Oliver and joined the band. Ellington and Bigard would later co-write one of the orchestra`s signature pieces "Mood Indigo" in 1930. In 1929 Bubber Miley, was fired from the band because of his alcoholism and replaced with Cootie Williams. Ellington also appeared in his first film "Black and Tan" later that year. The Duke Ellington Orchestra left the Cotton Club in 1931 (although he would return on an occasional basis throughout the rest of the Thirties) and toured the U.S. and Europe. Duke who had recorded Jazz music`s first two-sided, six-minute song in 1929 with his version of The Original Dixieland Jass Bands` "Tiger Rag" (part 1) and (part 2) in 1929, began to push the limits of 78 rpm records (three minutes per side). Bubber Miley was the master of the plunger mute. His growling, drunken wah-wah sounding trumpet playing was largely responsible for Duke Ellington `s early success and was the most prominent voice in Duke`s bands throughout the years of 1926 to 1928. He grew up in New York and played professionally starting in 1920. In 1921 he took over Johnny Dunn`s spot in Mamie Smith`s Jazz Hounds, and toured and recorded with her off and on until 1923. Miley joined banjoist Elmer Snowden`s Washingtonians in 1923 and stayed on when Duke Ellington took over. Miley was influenced by King Oliver, but developed his own distinctive style of playing with mutes and derbys. Miley co-wrote "East St. Louis Toodle-OO" and "Black and Tan Fantasy" and starred on many of Ellington`s recordings during the years 1926 to 1928. 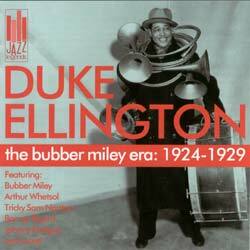 Miley`s alcoholism made him an unreliable band member, which led Duke to fire him in 1929.